Another year is in the books and the clang of champagne glasses has already become a distant memory. But, for cigar enthusiasts the calendar could not have turned quick enough. We have been patiently awaiting the return of our favorite cigar events and look forward to exploring new ones. Brace yourself for an action packed year of smoke-filled fun across the United States. This year’s lineup has lost a couple of long-standing festivals but promises to bring back the beloved favorites like Cigar Fest, Rocky Patel Cigar Cruise, Rocky Mountain Cigar Festival and much more. Clear your calendar and unleash your inner party animal because here are the details for America’s biggest festivals of 2017. Presented by Diamond Crown Cigars, the Cigar Dave Alpha Fest is a unique event that will take place on the Flight Line at Sheltair Aviation in Tampa, Florida. It will be hosted by radio personality Cigar Dave from the Cigar Dave Show. 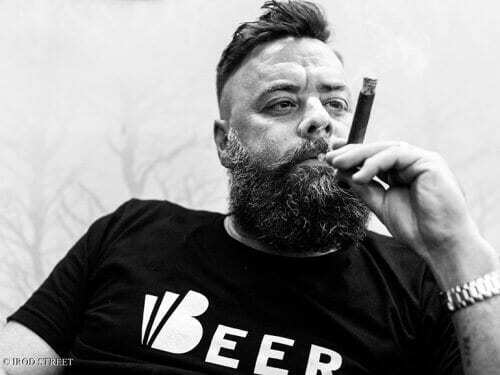 Each patron will receive five cigars from Diamond Crown/JC Newman, a full lunch buffet with dessert, two drink tickets, craft beer and whiskey sampling and a Cigar Dave embroidered briefcase. Tickets are $165 each. Two VIP Suites are available as well for $2400. The private suites seat eight with ‘living room’ seating, an in-suite bar, Hors’ d’oeuvres and appetizers, a full box of Diamond Crown Cigars and a private meet-and-greet with Cigar Dave. For tickets and more information visit www.cigardave.com. This year’s Great Smoke offers more than ever before. 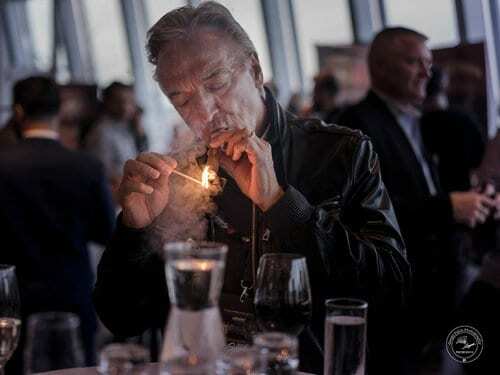 Celebrating its 11th year, The Great Smoke continues to be ‘the most star-studded collection of cigar personalities in the country.’ The festival has expanded beyond its original one-day platform to a full-fledged three-day extravaganza of cigars, spirits, dinner, music and more. Festivities start Friday with a private pre-event dinner at Ruth’s Chris Steak House hosted by Quesada Cigars and a pre-event party with Rocky Patel at Smoke Inn. The main event on Saturday includes a free afterparty hosted by Erik Espinosa. A Sunday morning brunch closes the weekend. 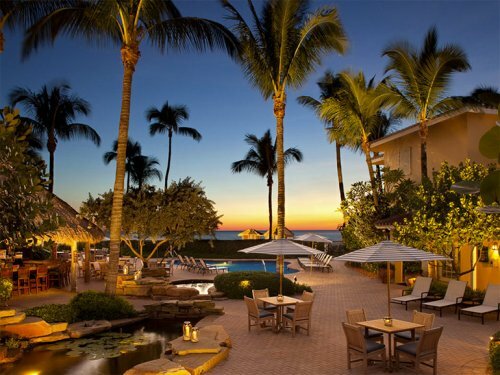 The venue for the main event is the same expansive location as last year, American German Club in Lake Worth, Florida. Each attendant will receive a commemorative tote bag filled with 45 cigars. A portion of the proceeds will benefit The Kids’ Cancer Foundation. General admission tickets are $150 and VIP tickets are $225. The pre-event VIP dinner is $135. Lodging is available. For tickets and more information please visit www.thegreatsmoke.com. This is the 18th year for this five day, not-for-profit event for “studs, bikers and leathermen” from all over the world. The itinerary includes a show, pool party, cocktail party, dinners, cigar crawl, Scotch and cigar social, motorcycle run, poker party, a T-shirt and more. The host hotel will be the Alexis Park Resort and Villas in Las Vegas, Nevada. Registration is $45 before March 6 and $50 thereafter. This is not an all-inclusive event. Patrons pay as they go based on which events they would like to attend. For tickets and more information visit www.lasvegassmokeout.com. The Texas Cigar Festival, hosted by Serious Cigars, is one of the premier cigar events in the US. The exact date and venue for this year’s the event has not been announced yet but it usually occurs during late April in the Houston area. More than 35 cigar companies are expected to participate. Ticket holders will receive an impressive gift bag full of cigars, meet industry celebrities, and eat and drink to contentment. Both VIP and General Admission tickets will be available. VIP entrance allows for early entry, private lounge with personal seat, late departure time and bonus swag. Ticket prices haven’t been announced yet but for the past two years General Admission was $150 and VIP was $275. Lodging is available. For tickets and more information please visit www.seriouscigars.com. Cigarfest is arguably the most popular and sought-after cigar festival in the United States. Hosted by Cigars International, Cigarfest is a four-day affair where 6000 cigar smokers converge on a sleepy Pennsylvania town to celebrate what is dubbed, “America’s Mega Herf.” Cigarfest includes pre-party events, breakfasts, dinners and golf tournaments. It starts with a pre-party Drew Estate event on Thursday and ends with a post-party breakfast on Sunday. In between are two golf outings, a Cuban Pig Roast, and intimate events by major cigar manufacturers like Alec Bradley, Rocky Patel, Perdomo, Altadis, Oliva, and CAO. The main festival will take place on Friday and Saturday May 5 and 6 at Split Rock Resort in Lake Harmony, Pennsylvania. Tickets go on sale February 4 at 2pm, but you must be preregistered by February 1 to be eligible to purchase tickets. Ticket prices range from $165 – $255 with upgrades and extra perks available. Lodging is available. For tickets and more information please visit www.cigarfest.com. This event, in its fifth year, has been earning some serious plaudits over the past couple of years. It is hosted by Cutter’s Cigar Emporium in Atlanta, GA and offers smokers an incredible experience. From pre-event parties to ‘meet and greet’ sessions to VIP receptions, this event includes everything the modern cigar enthusiast demands. There are four entry options that grant ticket holders various levels of privileges and goodies, including cigars, gift bags, food, alcohol, live music, VIP boxes and more. This year’s event will take place at the new Cutter’s Cigar Emporium location at 4915 Windward Parkway in Alpharetta, GA. Ticket prices have not yet been announced but usually go on sale in April. Last year ticket demand far exceeded supply so get your tickets early if you plan to attend. Lodging is available. For tickets and more information please visit: www.southerncigarfestival.com. Dubbed “The Ultimate Smoke on the Water,” this one-of-a-kind voyage sails through the Western Caribbean. Rocky Patel, Nimish Patel and Nish Patel will be aboard the ship along with special guests Arielle Ditkowich of La Sirena Cigars and Kendall Culbertson of Gunslinger Cigars on this seven-night cigar cruise. There will be a pre-cruise cigar party at Burn cigar lounge in Naples, Florida on May 19. The cruise itinerary includes a Bon Voyage Cocktail Party on May 20, cigarology workshops, cigar rolling classes and contests, cocktail parties, private beach parties, complimentary cigars and plenty of fun in the sun. The ship will visit exotic islands like Grand Cayman, Mahogany Bay, Belize and Cozumel. Pricing starts at $1,650 per person up to $3,000 per person depending on stateroom choice. For tickets and more information please visit www.rockypatelcigarcruise.com. This is a weekend-long festival that takes place at the Tejas Rodeo Company in San Antonio, Texas. It is the largest celebration in the United States that focuses on supporting US troops through Operation: Cigars for Warriors. 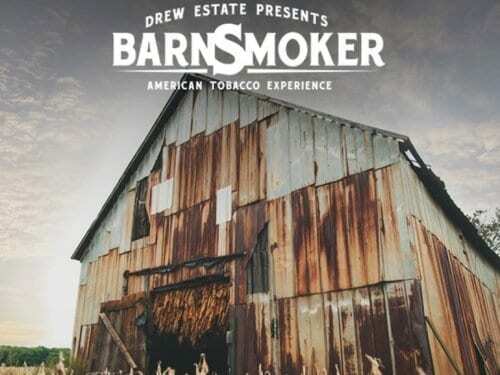 This event includes a “monstrous haul” of cigars, rodeo, music festival, dancing, raffles, food, liquor tastings and a variety of entertainment including before and after parties. Drew Estate is the major sponsor with many other big names also contributing. This year celebrity guest, Shorty Rossi, will be in attendance. The event starts at 1pm but VIP ticket holders may enter at 12pm. Ticket prices range from $100 (General Admission) – $270 (VIP & Music Festival). Lodging is available. For tickets and more information please visit www.catsfestival.com. JR Cigar in Burlington, North Carolina will host its fifth annual Smokin’ in the Carolinas BBQ. This event features some fine southern BBQ fare, wine sampling, unlimited beer, and, of course a goodybag stuffed with lots and lots of cigars from some of the biggest names in the industry. There also will be a meet-and-greet with brand owners, raffles, and contests. All proceeds from the raffles will go to Cigars for Warriors. The specific date and ticket prices have not been announced yet but it usually takes place in early June with tickets priced around $150 each. Lodging is available. For tickets and more information please visit www.jrcigars.com/list/smokin-in-the-carolinas. This is the first year for the Philly Cigar Festival. It will take place on June 3 at Norco Fairgrounds in Pottstown, PA. 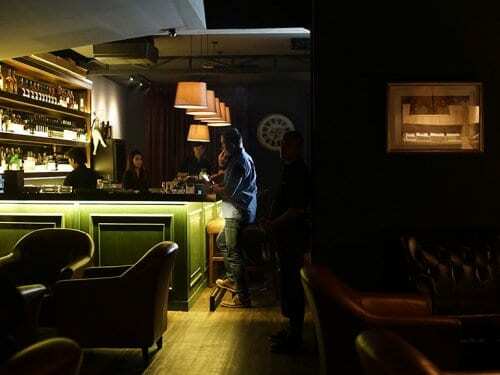 This is expected to be a major affair with big-named cigar manufactures like Ashton, Rocky Patel, Montecristo, JC Newman, A. Fuente, Drew Estate, Oliva, Kristoff, Savinelli Pipes and many more to be announced as the date approaches. The festival will also feature beer, food and local artisans. There will be both VIP tickets and General Admission tickets available. VIP ticket holders can enter the festival at 12noon while General Admission ticket holders are permitted to enter at 1pm. Ticket pricing has not been announced yet. For tickets and more information, please visit www.phillycigarfestival.com. This is an exciting event happening in the heart of wine country. This year’s itinerary includes five days loaded with plenty of live Jazz music, wine, food and cigars. Most of the action will be taking place at the Jamieson Ranch Vineyards in American Canyon, California; however, there are a few Jazz and comedy performances that will take place at the nearby Lincoln Theater. As expected, there will be plenty of Jazz performances and wine tastings. There will be a cigar party each night by the pool with more music and drinks. Tickets range from $169 – $2,999. Lodging is available. For tickets and more information please visit www.jazzgetaway.com. 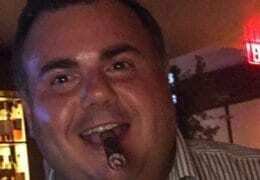 George Manzella is a passionate cigar smoker who credits his father for introducing him to the leaf in 1994 when he was just 18 years old. George has been a high school teacher of English in New Jersey, USA since 2003 where he has taught literature, writing and journalism. He is also the founder of the New Jersey Cigar Club. George wrote for two local community periodicals prior to joining Cigar Journal in 2015. His passion for premium tobacco and his zest for writing has taken George on a remarkable journey through an enchanted world of unforgettable memories and life-long friendships.